JAL is probably the best carrier. The cabin crew is very nice and thorough. The menu is varied and tastes good too. 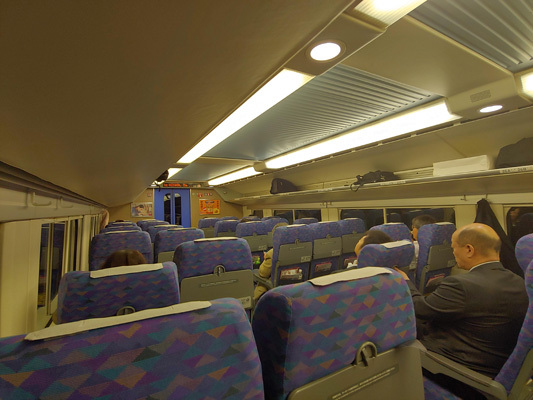 The seats are spacious and comfortable. New movies are available on their flights. The flight attendants were very friendly and the flight was as comfortable as I expected. Bonsai is a work of art that creates magnificent natural scenery in a small container. 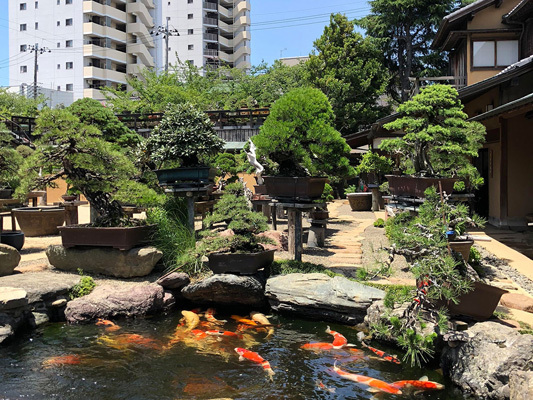 Shunkaen Bonsai Museum in Edogawa-ku, Tokyo was created in 2002 from the desire of Kunio Kobayashi, a bonsai artist and recipient of the Prime Minister’s Award, one of the three grand prizes of Japan, and the Higashi-Kuninomiya Culture Award, to deeply spread bonsai to the world. Over 1,000 bonsai line a garden with a pond where carp gracefully swim and a majestic Japanese house. Each container has different style, all of which are beautiful and have a dignified appearance. The museum also offers classes (for a fee and available in English and Chinese) where you can experience the charm of bonsai. Classes can be booked three days in advance. All you have to bring is yourself as tools and training bonsai are provided. Since you may take completed bonsai home with you for an additional fee, drop by and experience the beauty of bonsai. The Bonsai Museum was much better than I expected and quite interesting. I thought bonsai would be boring but the staff's introduction and the DIY workshop were all great. The museum isn't very big but there are some good photo opportunities. 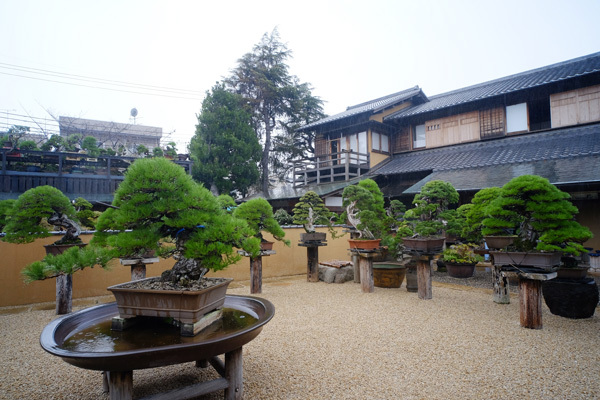 A bonsai museum with its traditional atmosphere was an unexpected find in a metropolis like Tokyo. I was amazed by the oasis calm that I found in the museum courtyard. This time, I took part in the bonsai workshop at Shunkaen. The teacher patiently explained the ins and outs of bonsai in Chinese and taught us several techniques such as how to wind wire around the branches of the pine tree. The experience was quite special. 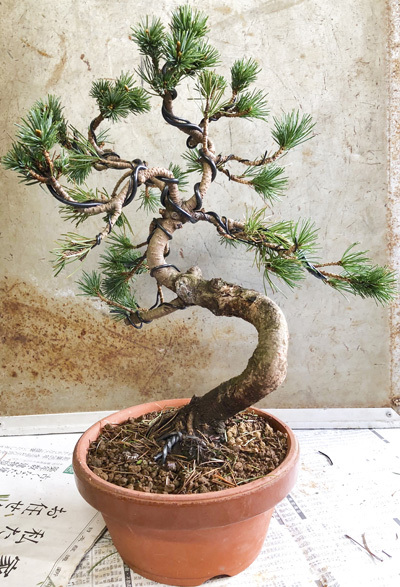 My pine tree finally looked a lot more free-flowing after a lot of hard work. Lunch: Ryan. A new style of buckwheat noodle restaurant. This is a high-end restaurant and the ambiance and food were all excellent. It should be popular with younger people. 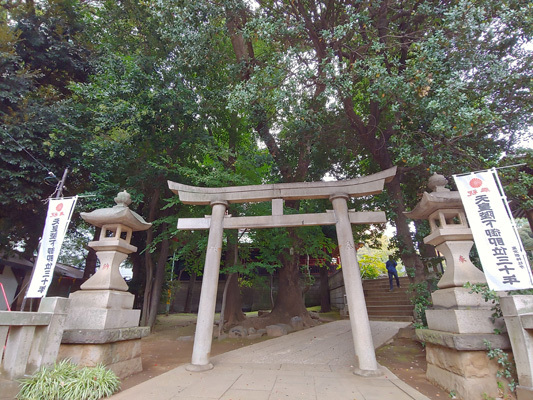 Konno Hachimangu Shrine: Finding such a large and historical shrine in the heart of Shibuya was rather surprising. The environment is good and is well worth a tour. Shibya Stream: There are many restaurants to choose from and the vibes are quite positive. I'd recommend it for travelers who like new things. 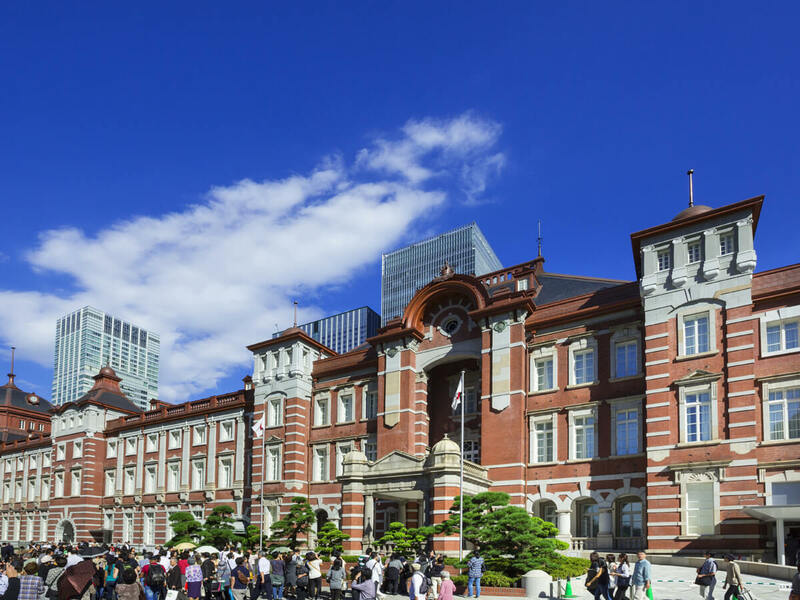 You can get a sense of Tokyu Toyoko Express Line's history here in the mall. Ryan is a buckwheat noodle restaurant that left a strong impression on me. The interior design and ambiance was like a high-end restaurant with an attached bar. To my surprise, the menu was dedicated to buckwheat noodles! 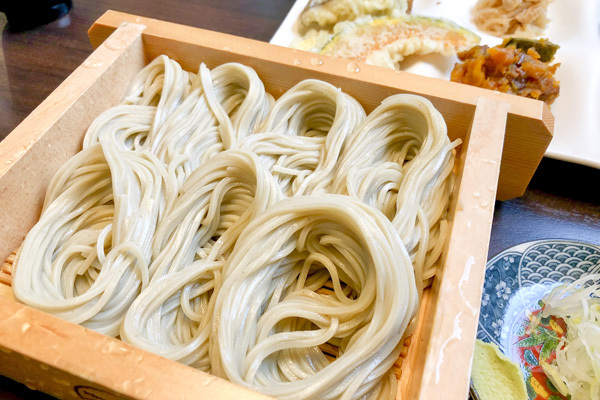 Buckwheat noodles are usually served with tempura. 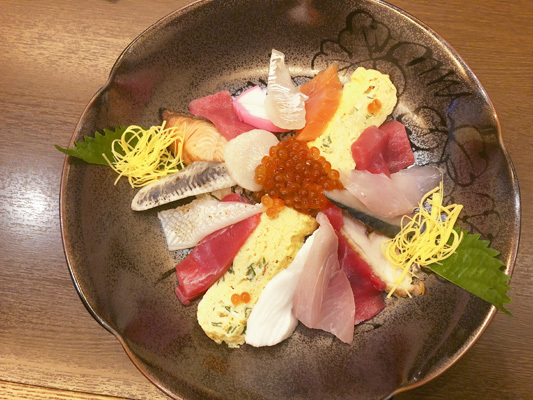 Here sashimi and entrées are also provided to satisfy both the senses of sight and taste. Finishing it all off with a plate of firm yet chewy buckwheat noodles was quite satisfying! 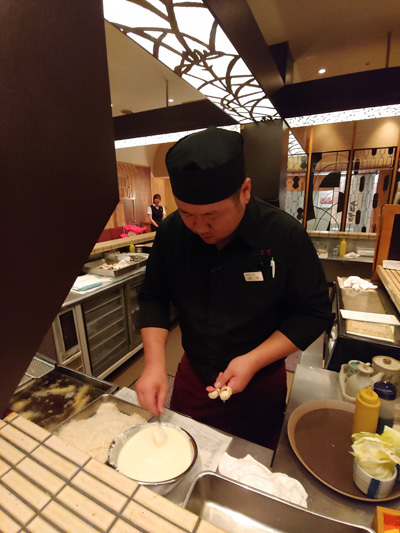 You can also see the chef preparing the buckwheat noodles in the restaurant. 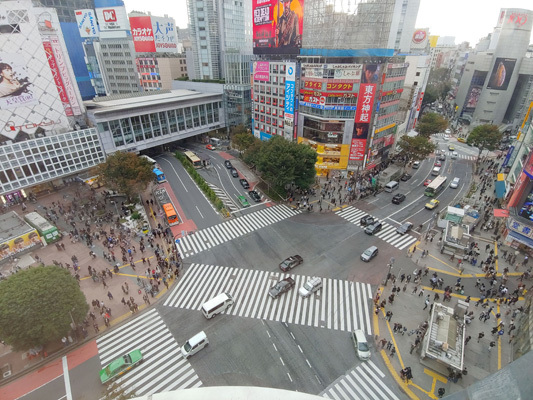 In addition to popular attractions such as the statue of Hachiko and the Shibuya Crossing, we also took a stroll through the newly opened Shibuya Stream and the traditional Konno Hachimangu Shrine. 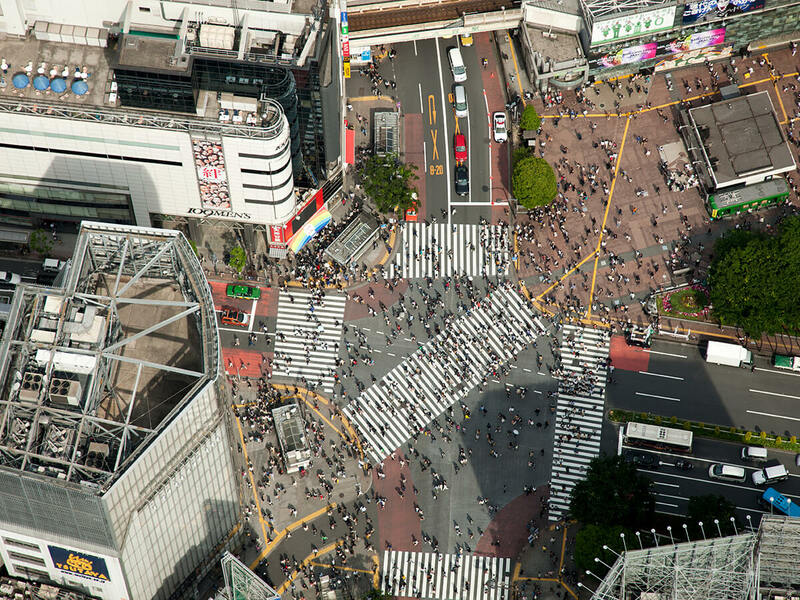 The mix of old and new is what makes Shibuya so magical! 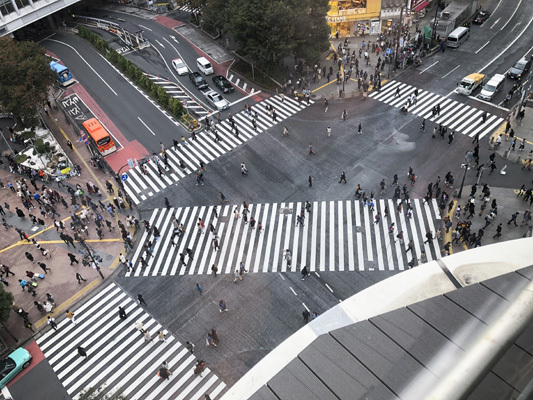 I will never forget the moment that I looked down from the rooftop observation deck on Shibuya 109 at the Shibyua Crossing. The sight of well-ordered people and cars made my heart skip a beat. Daikanyama is a good place for a walk. It has a relaxed atmosphere and a lot of shops. Most of them are boutique brands but there's nothing wrong with window shopping. 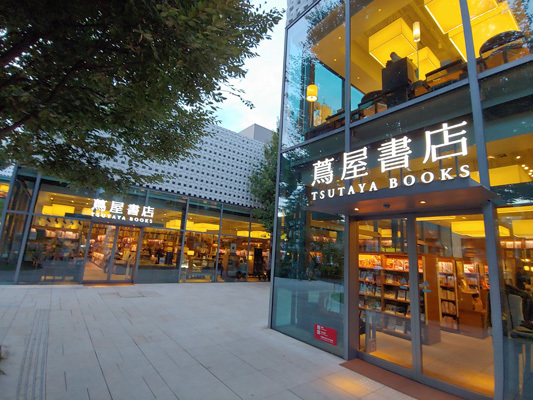 I recommend the area around Tsutaya Books. 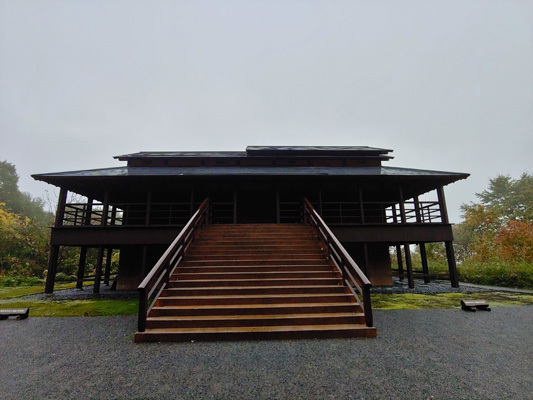 The Kyu Asakura House was more unique than I thought. It has beautiful views and a very stylish building. Admission is quite reasonable and it is not far from the station. 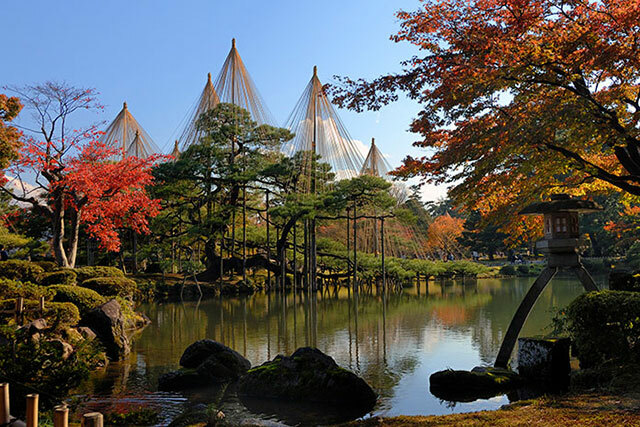 A tour by itself is already charming enough but the chance to dress in a kimono, take part in a tea ceremony or admire the autumn leaves might make it even more interesting. 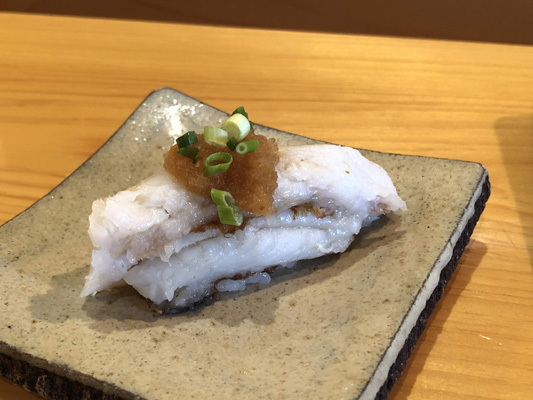 Everything about Daikanyama seems to say "high-class", "fashion" and "sophistication." 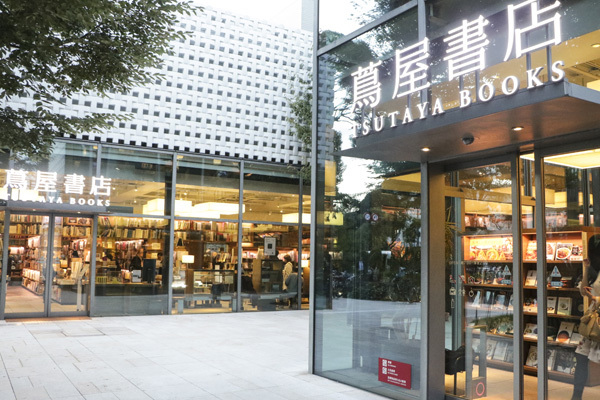 The T-SITE (Tsutaya Books) in Daikanyama manages to combine all these elements in one place! 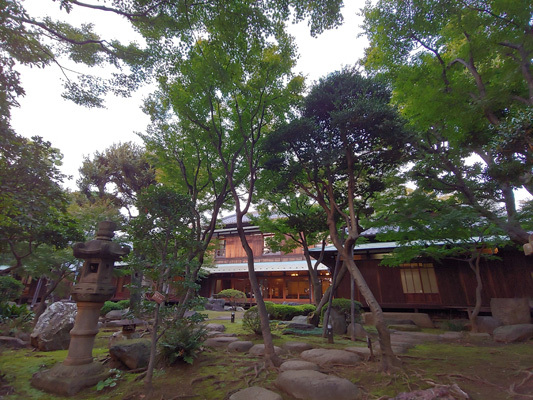 When I arrived at Kyu Asakura House, I was able to experience traditional Japanese hospitality in this historical residence. I then visited the BOMBAY BAZAR cafe with its unusual interior. Every chair was different and the WC seemed straight out of a painting. 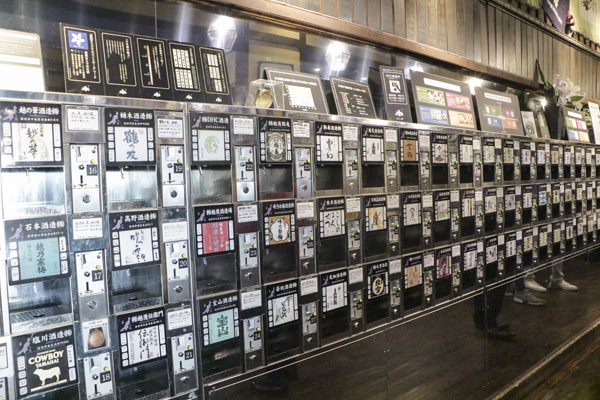 Tachukichi Akihabara Store: A specialty fried skewer restaurant with character. Communication is not difficult for foreigners and the main attraction is being able to see the staff prepare the food in front of you. The food tastes good and isn't expensive either. 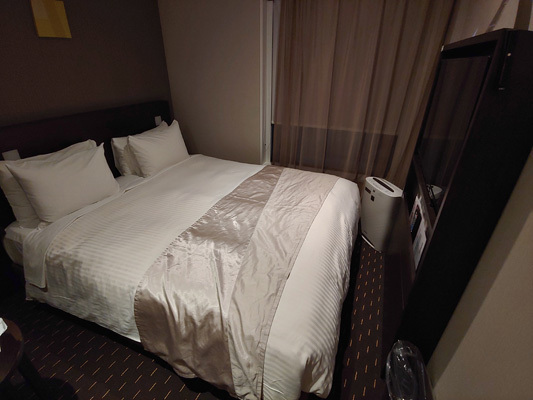 Akihabara Washington Hotel: Good location not far from the station. There are restaurants and shops nearby too. The room layout is good and has all the necessary functionality. Internet speeds are OK, the bed is comfortable, while the TV was surprisingly large. 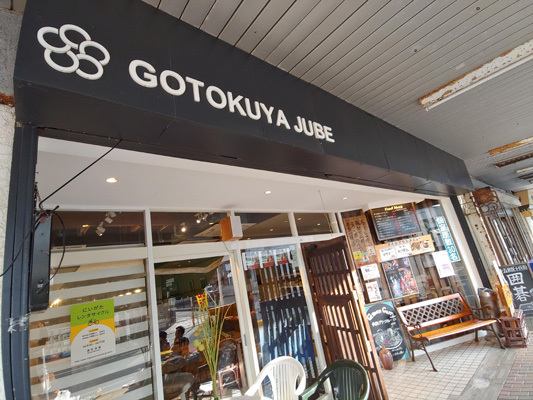 Tachiyoshi Akihabara Store: This fried skewer specialty restaurant doesn't use a menu. 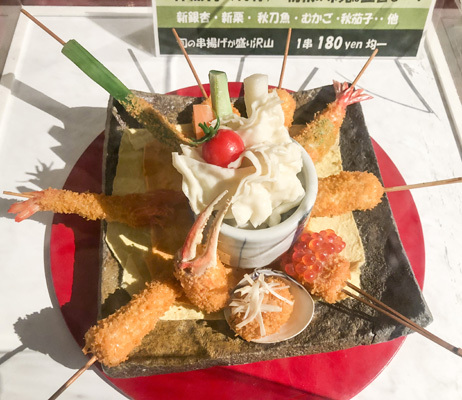 Just tell the chef what ingredients you like or don't like and they'll come with a chef's selection of freshly prepared fried skewers that to surprise and delight you. 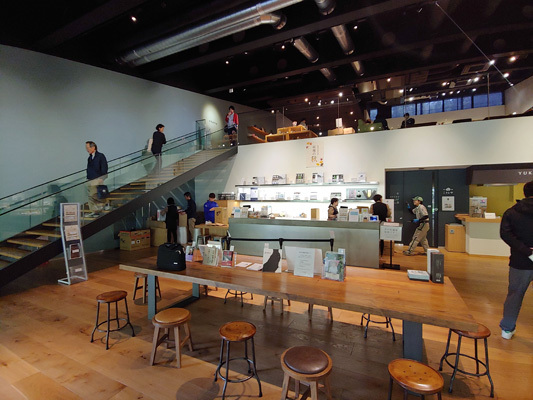 There are many counter seats in the store. You can chat with the chefs while enjoying the fried skewers and beer. This is a great place whether you are with friends or by yourself. 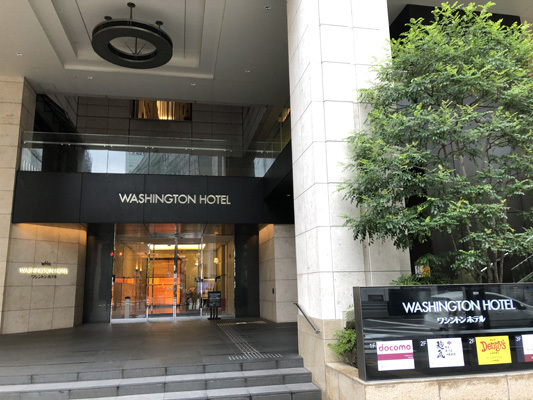 Akihabara Washington Hotel is right outside the Central South exit of Akihabara station so transportation is very convenient. The hotel rooms are quite spacious and well-appointed. The mattress was very comfortable. 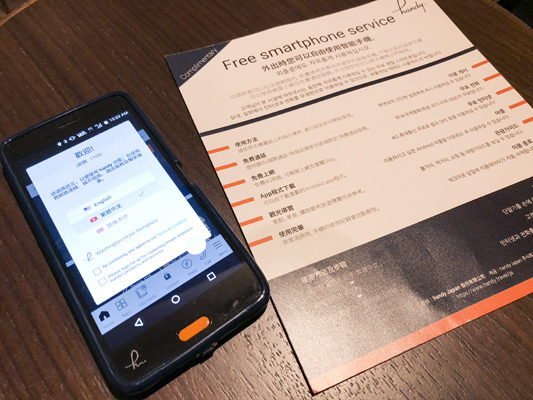 There is also a smart phone that supports traditional Chinese language in the room. How convenient! I've always recommended Shinkansen's upper floor because you get the best views along the way. The seats are quite spacious too. The departure station this was Ueno and it is quite close. 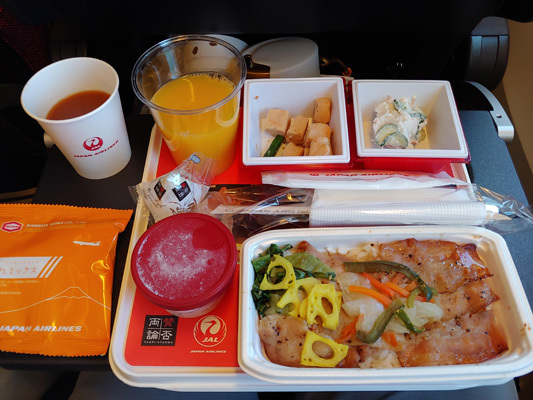 I even bought a bento lunchbox at the station before getting aboard so I could enjoy a delicious lunch while riding the Shinkansen. 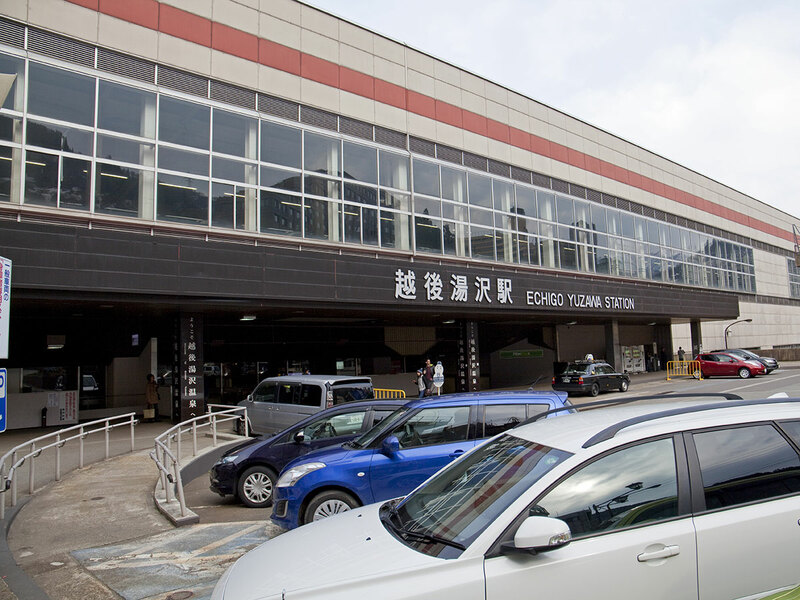 Getting from Tokyo to Echigo Yuzawa takes around 1 hour and 20 minutes. 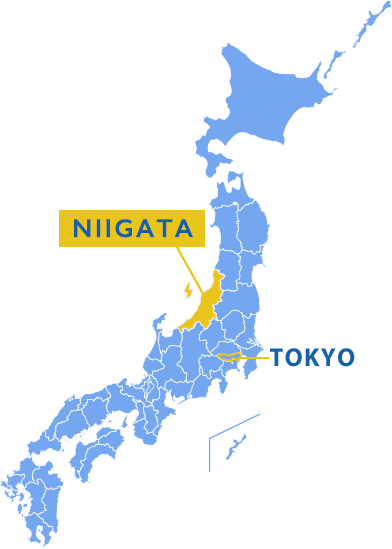 I would've visited Niigata earlier if I had known! 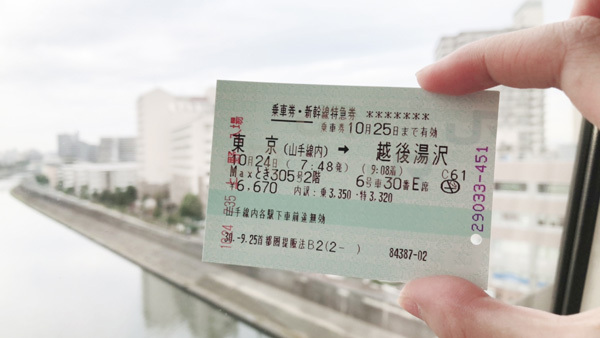 Getting there by Shinkansen is really convenient! CoCoLo Yuzawa Gangi Dori opened in December 2009. 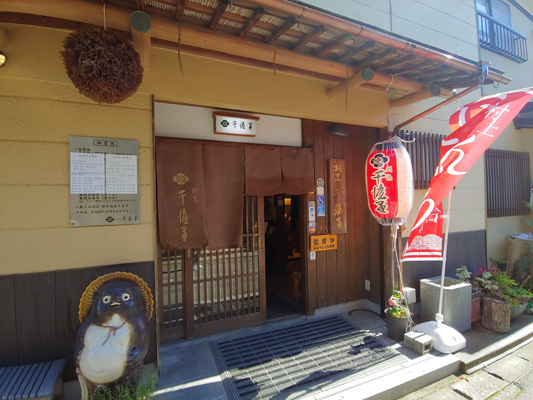 "Gangi Dori" is a street with a nostalgic atmosphere where the townscape from the early Showa Period has been recreated with houses lining covered alleys ("gangi"). 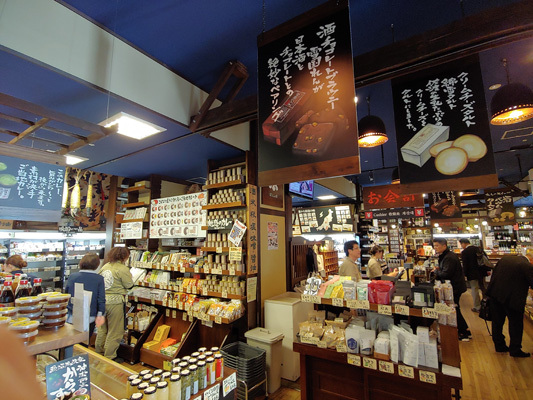 The shops sell a wide variety of local souvenirs, including "sasadango (dumplings wrapped in bamboo leaf)," which is a specialty confectionary of Niigata Prefecture. 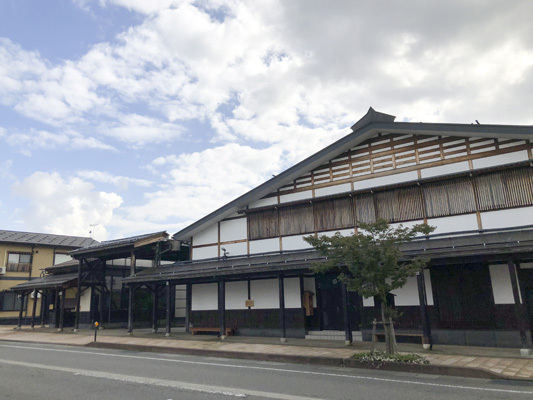 The station building also has a lot more to offer, including the "Tabearuki Yokocho," a street lined with restaurants, a tourist information center, the Visitor Center with a rent-a-car counter, and the Ponshu-kan selling numerous kinds of sake. Matsudai area of Tokamachi City is mostly mountains and known for some of the heaviest snowfalls in the world in winter. 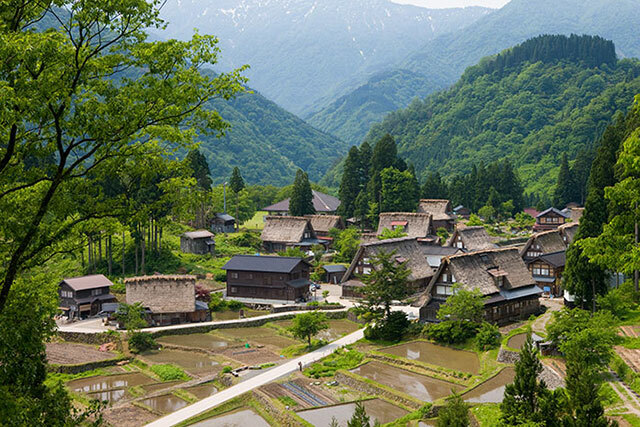 Cultivating rice fields on the slope of mountains, changing the river flow to create rice fields, and planting trees after mudslides was the way the locals have co-existed with nature in farming villages, creating the so-called "satoyama" that Japan boasts to the world. 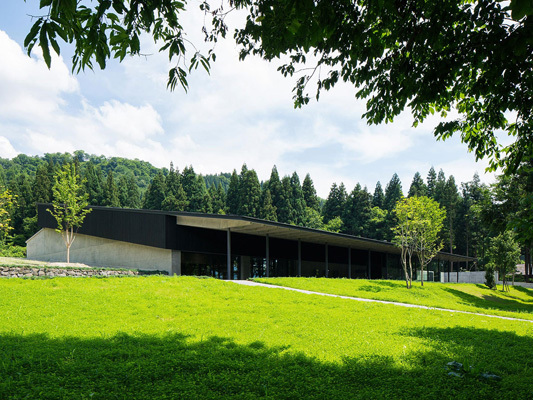 Matsudai Nohbutai is a field museum of farming culture and art for discovering and promoting this lifestyle in the snow country. I've seen quite a few of James Turrell's works. This one is the most playful and also the one that is really in keeping with his style. There are a lot of options of interaction and an overnight will no doubt leave an even stronger impression. 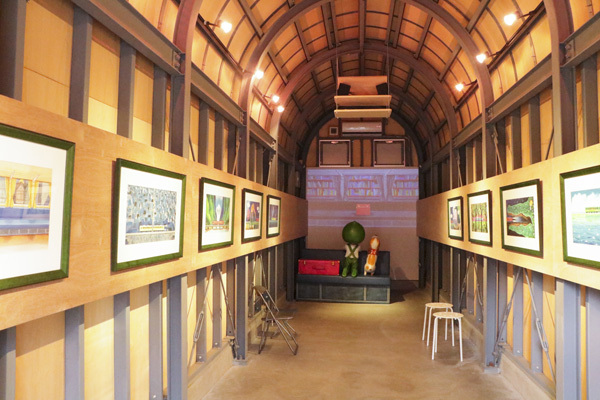 Kiss & Goodbye: Jimmy is quite well-known in Hong Kong and the two exhibitions with Jimmy's art designs are quite interesting. They are well worth a visit and good for photos. 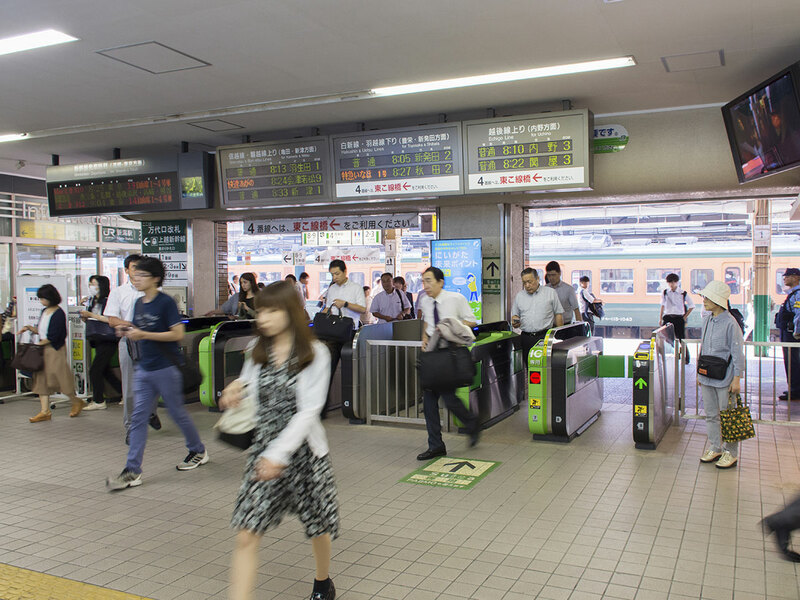 The station is nearby and transportation is convenient. 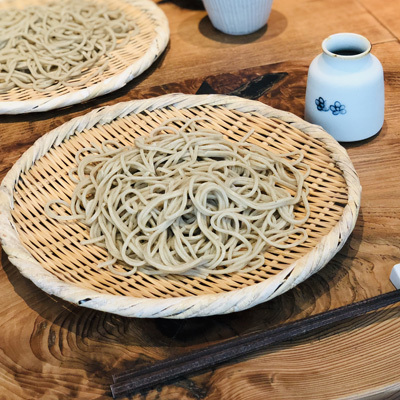 Soba no Sato Abuzaka: The buffet + buckwheat noodles is a combination you don't see often. The restaurant has a homely atmosphere and the prices are reasonable. There are good views on the 2F and what matters is the great-tasting buckwheat noodles. This was my second visit but the building and nearby artworks still spoke to me. Seeing Kusama's works again really made my day. 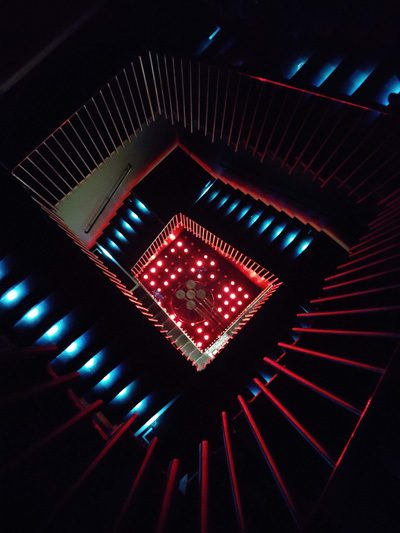 The building itself can serve as a hub for visitors to the Triennial that want to tour nearby artworks. 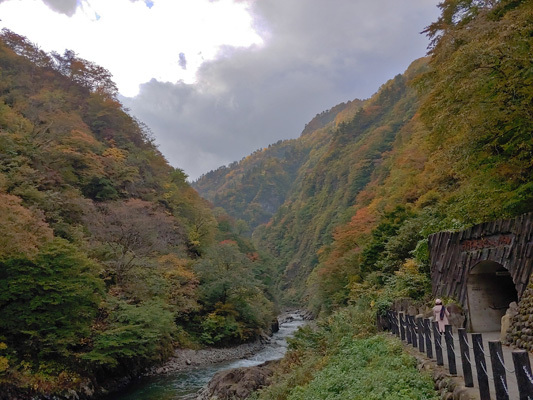 Bijinbayashi: The scenery is breathtaking and screams for IG and FB photos. It is easy to get to as well. Forest Classroom of Kyororo: Very unusual appearance. The art installations are quite nice and the observation deck has good views. The House of Light looks like a traditional Japanese house from the outside. A magical world of light and colors is hidden within! 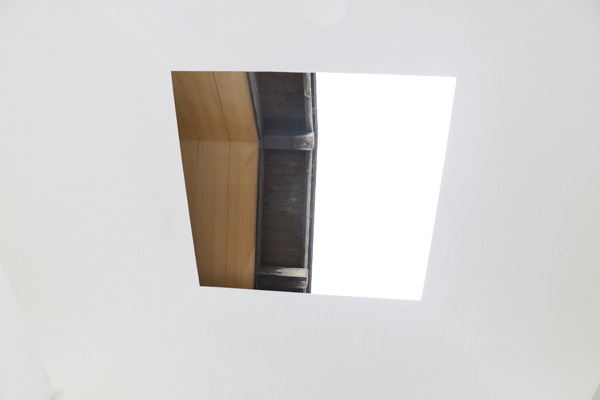 One of the rooms feature a square skylight. When the weather is good, the roof can be opened to reveal the sky. Lying on the floor to look up at the sky beyond the skylight while basking in the natural sunlight is very relaxing. 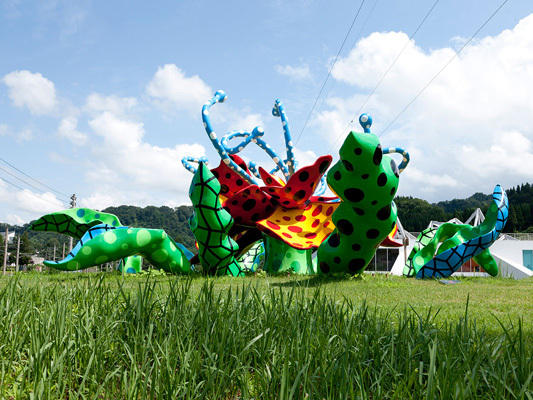 The "Echigo-Tsumari Art Triennale" is very famous. Though I had already seen the photos of some artworks before my visit, you truly had to see them for yourself to feel the full impact. 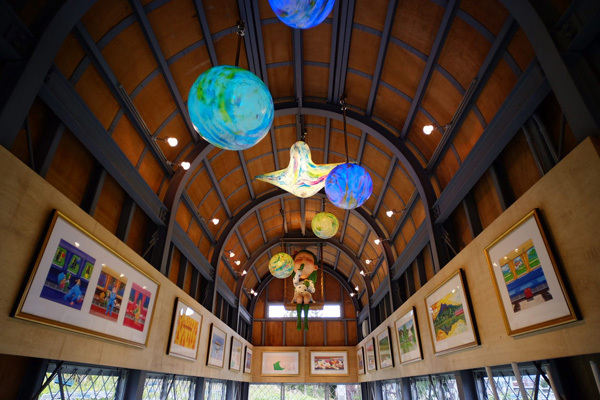 The room with works by Jimmy had quite a fairy tale-like look to the layout that made you feel as if you were actually in one of Jimmy's illustrated books. All the memories of my childhood seemed to come flooding back. 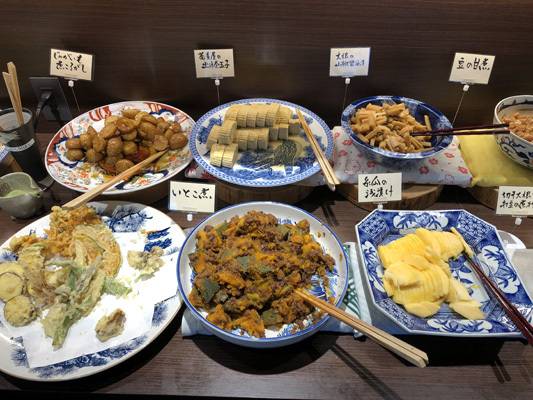 A wide variety of side-dishes are served at Soba no Sato Abuzaka. Tempura along with stews and pickles. Local ingredients are featured too. 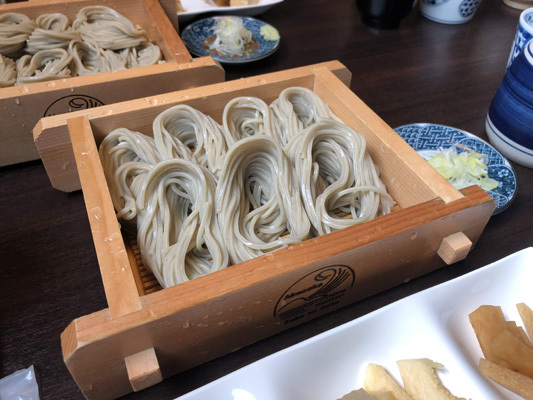 Unlike other regions, here the buckwheat noodles are served in bundles. Seaweed is also added when the noodles are being made to give them a slick, tender texture that keeps you coming back for more. Outside of the restaurant windows is an expanse of farmland. You can sit back, and enjoy the view and buckwheat noodles. 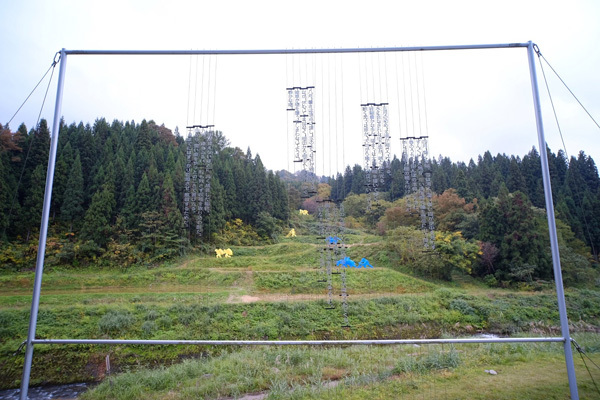 Matsudai Nohbutai is probably my favorite place in the Echigo-Tsumari. Every room, restaurant and even the toilets seem post-card perfect so you can take great selfies with ease. 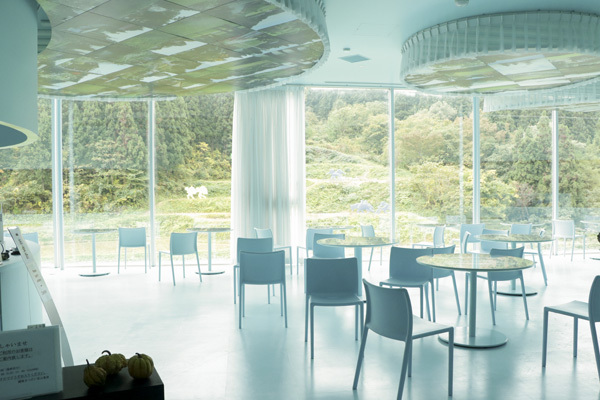 The pastel blue restaurant was itself a quite fantastic sight. Beyond the French windows is a picture-perfect farming village. The mirrored table surface even reflects the decorations on the ceilings! Walk into the classroom and everything is black-green. Upon closer examination, you realize that everything is made from the same material as the blackboard. You can therefore pick up a length of chalk and start drawing anywhere. Having a classroom like this makes you want to go back to school! Here I learned that art doesn't necessarily have to be very aloof and distant. It can be quite "earthy" and humorous too. I just can't stop myself from wanting to return. When I first heard about "Bijinbayashi", I took it at face value and thought it was a region famous for its beautiful women. 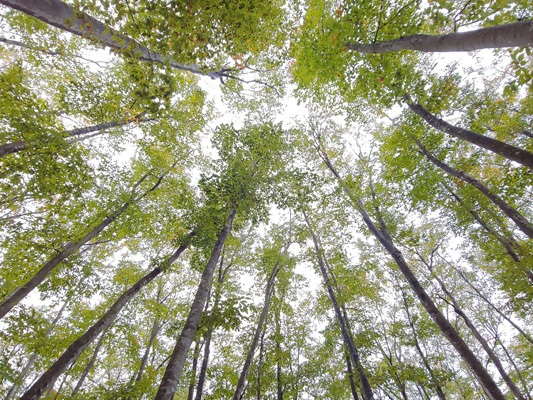 I eventually discovered that "Bijinbayashi" referred to the beech trees in the forest! The form and color of the beech tree changes with the season. At the time of our visit, some of the leaves were beginning to turn yellow. Creating a very picturesque effect. 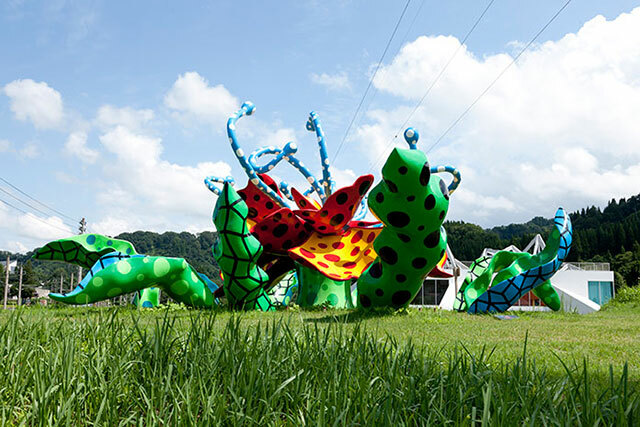 The "Forest School of Kyororo" is shaped like a giant serpent. Inside the school are a variety of natural experiences. Perfect for family outings. I like the hotel's traditional Japanese ambiance. 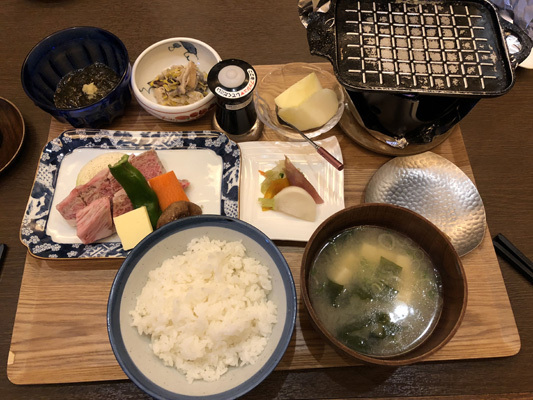 You can also enjoy delicious cuisine made with fresh Niigata ingredients. The plates are beautifully arranged and the service is very attentive. 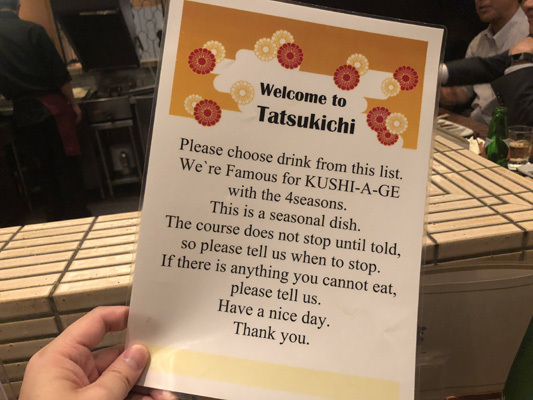 The hand-written menu details where all the ingredients come from in Niigata and what makes them so special - that's a win in my book. 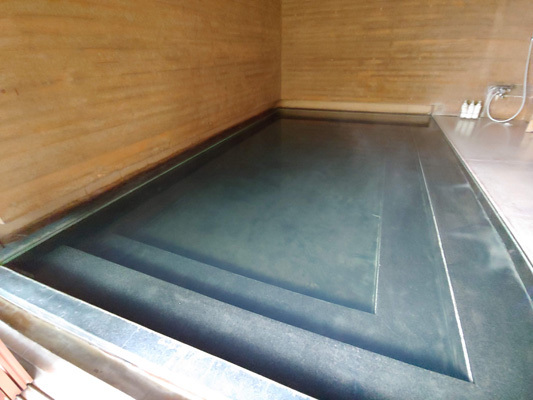 This is a very famous hot spring hotel in the Yuzawa region. 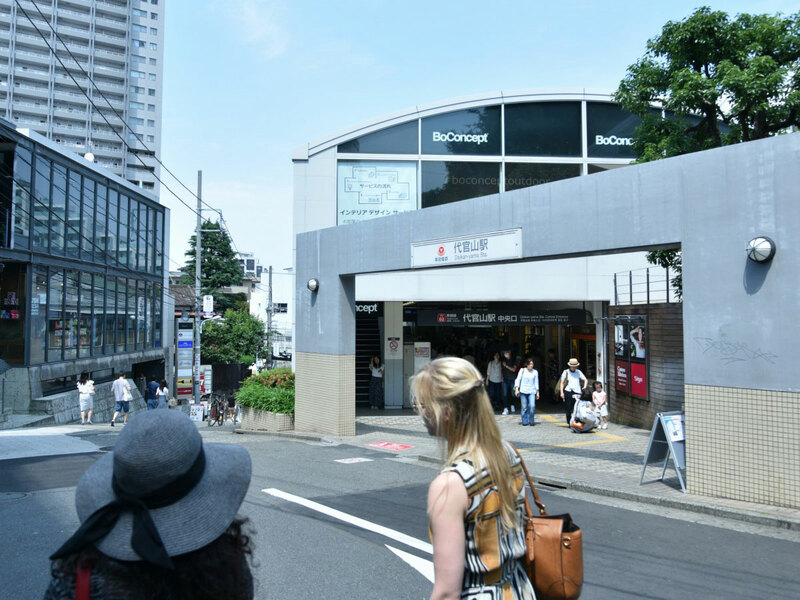 It is located on the hot spring street not far away from the JR station. The food and accommodation are exceptional as well. 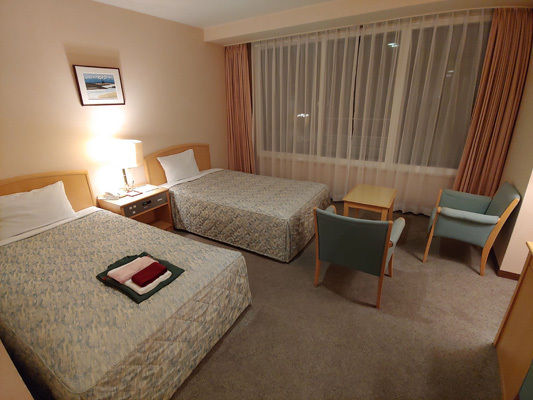 The room had a comfortable layout and the open-air hot spring was first-class. The hand-written menu in the hotel communicated the staff and manager's commitment and attention to detail. 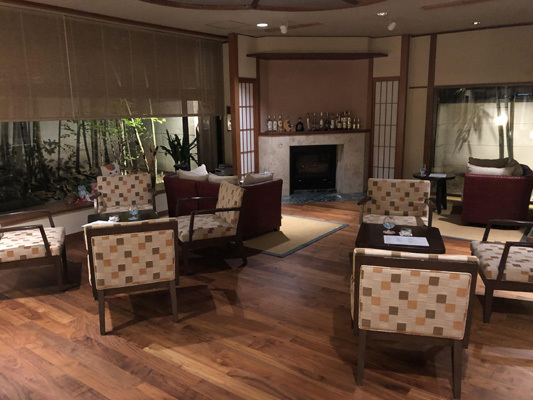 Dinner was at a Japanese-style room at "Shousenkaku Kagetsu." You can have dinner while wearing a yukata so it really felt like you were on holiday in Japan. Dinner was quite extensive in terms of its proportions and variety. 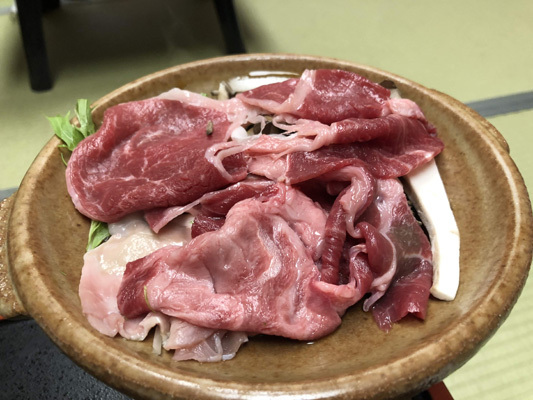 The menu included walnut tofu, sashimi and wagyu beef sukiyaki. I was quite satisfied with the quality and how different it was. 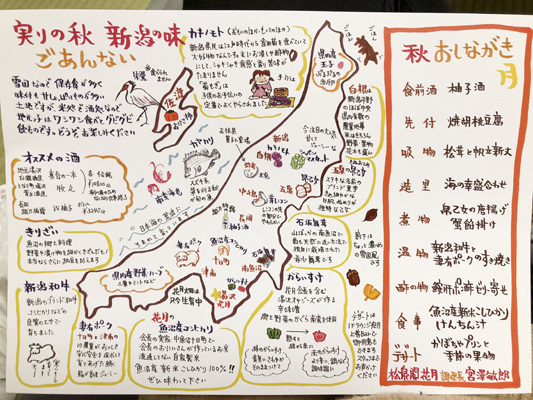 Interestingly, the menu here included a hand-painted illustrated map showing the types of ingredients and where they came from. The mix of drawings and text reflected how much thought the chef put into the food and their guests. The hotel is very popular with the locals. 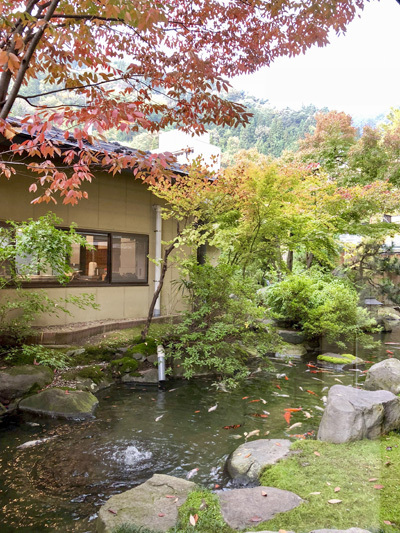 It boasts very elegant Japanese-style furnishing and gardens. My room was very spacious and had its own bathroom. 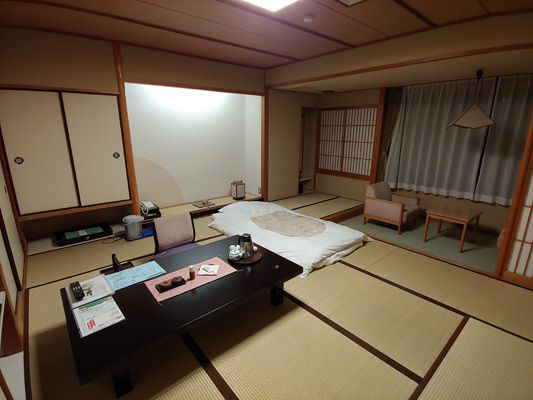 It was a traditional Japanese room with a futon bed laid out on the tatami. You might want to go for a soak in the open-air hot spring the next morning as well. This destination was my absolute favorite from this itinerary. The scenery was of course beautiful but the way that art was perfectly fused into a traditional sight was absolutely outstanding. It wasn't the time for autumn views but that was enough to move me to tears. I strongly recommend it for every visitor to Niigata. I didn't stay long here and didn't go into many of the shops. I've always felt nothing but respect for these old streets that try to preserve and promote the old traditions. 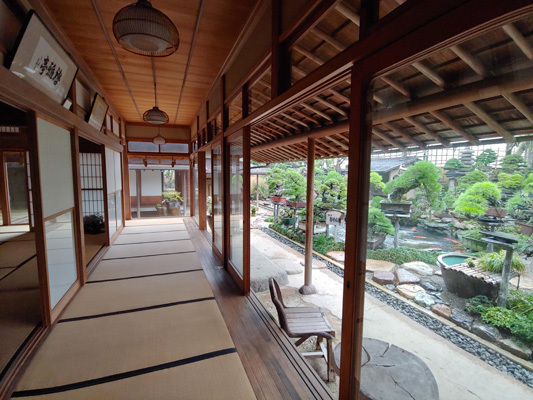 It's suitable for customers who want to experience the Edo-period of Japan. I hope there can be enough time to really get to appreciate the area next time. 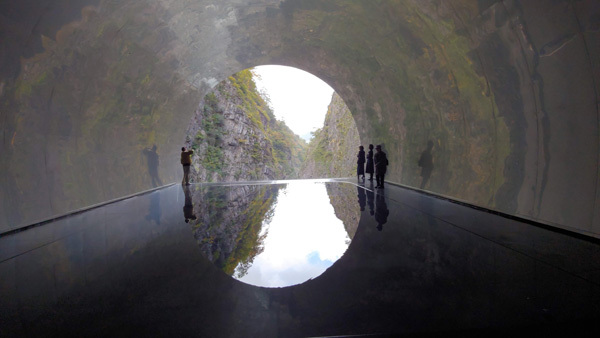 No trip to Kiyotsu Gorge can be considered complete without visiting the Kiyotsu Gorge Tunnel to see a play of light and shadow in Mother Nature. Walk along a length of the tunnel and you come to the signature "Tunnel of Light." 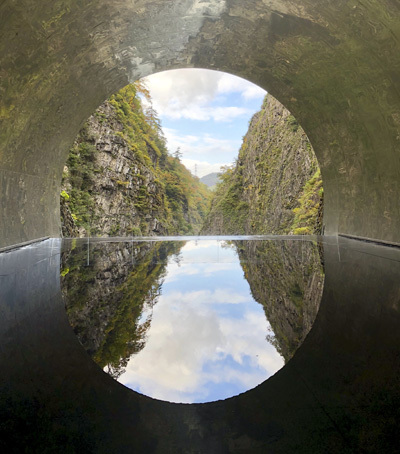 The reflection of Kiyotsu Gorge in the "Tunnel of Light" forms a perfect circle that made tourists and me stop to admire the sight take photos. 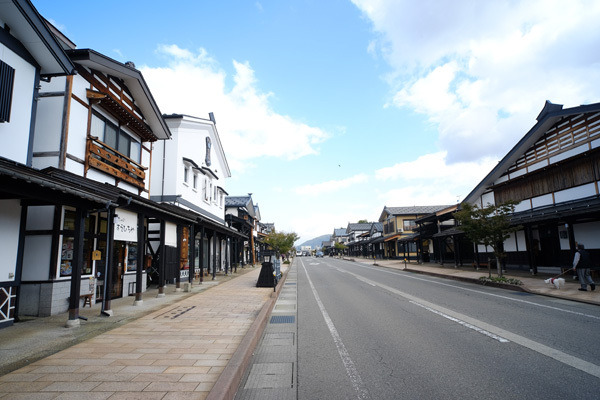 Bokushi Street is an Edo-style old street that boasts its own distinctive ambiance. There are no power poles here and the street looks beautiful under the blue sky. 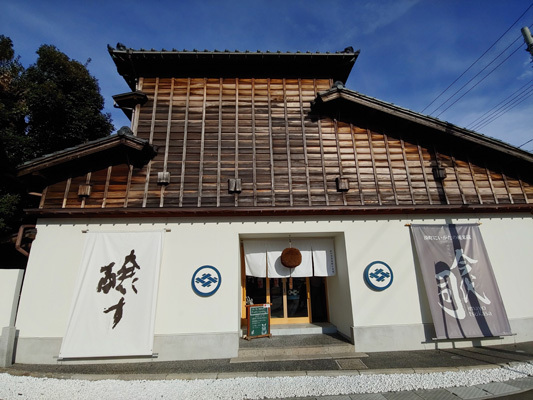 Shiozawa is also famous for its traditional weaving. During our visit to "Nakajimaya" we looked at the examples of woven Echigo-jofu and Shiozawa-tsumugi on display in the store. 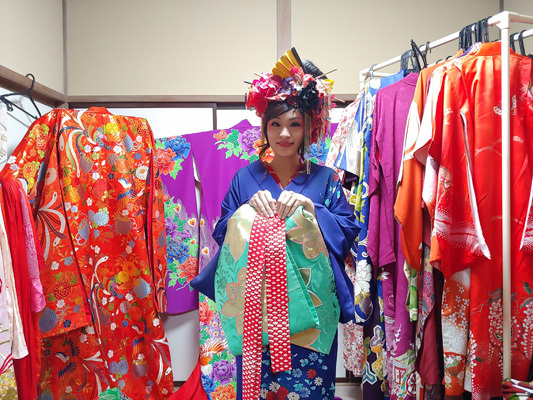 After our tour, the store staff even allowed me to try on an antique kimono jacket. I was absolutely thrilled. 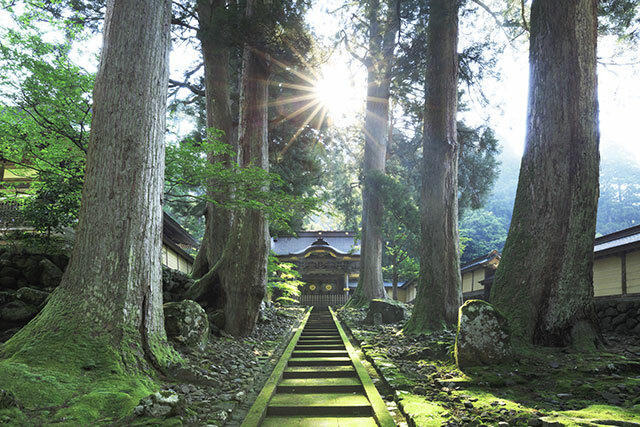 The people of the snow country of Uonuma continue to make use of ancient wisdom to coexist in harmony with nature while enjoying the changing of the four seasons, and making sure the knowhow is passed on to future generations. 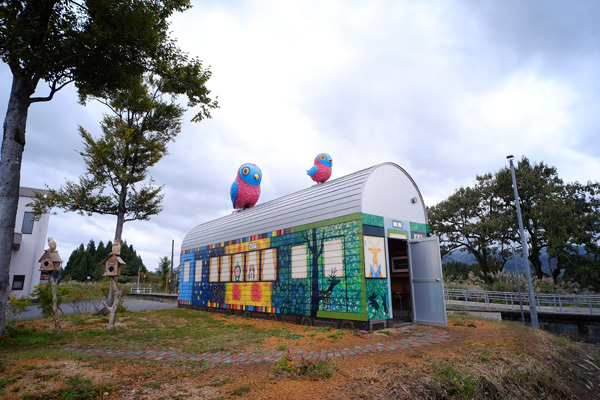 The region, blessed with the rural scenery of a satoyama, is dotted with places where visitors can relax, including Hakkaisan Yukimuro with a cafe, a shop, and a kitchen goods store, Sobaya Nagamori (a soba noodle restaurant), Bukabunka (a restaurant serving local cuisine), Satoya (a confectionary shop), Tsutsumiya Hachikura (providing a wrapping service), etc. 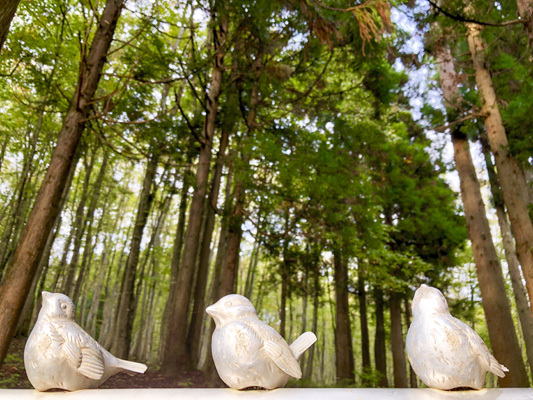 Enjoy the beauty of the four seasons that bring back memories of days gone by, and discover genuine Uonuma. More interesting than the average brewery tour. The contemporary architecture is not something you see often as well. The sake was of course delicious and the prices quite reasonable so I bought some too. They are good as gifts or for your own consumption. This is a good stopover during the trip. 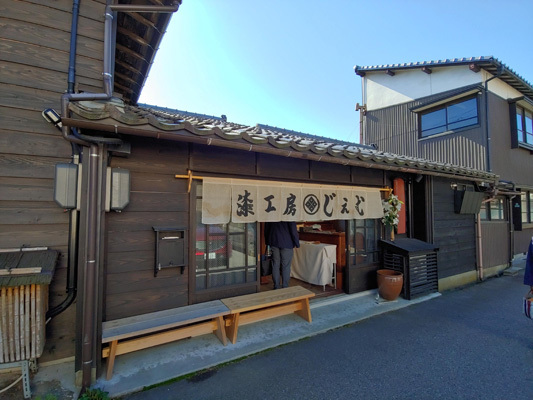 I didn't expect to find such an exceptional sushi restaurant in the Niigata region. I can understand why customers keep on coming back too - I feel the same way. 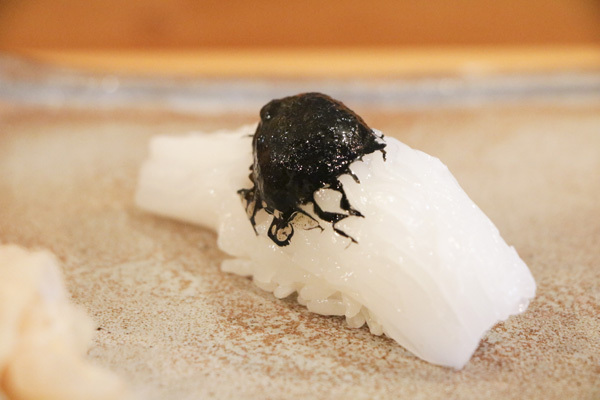 The sushi was of high quality and made with in-season ingredients. The prices were also a lot easier on the pocket than Tokyo. 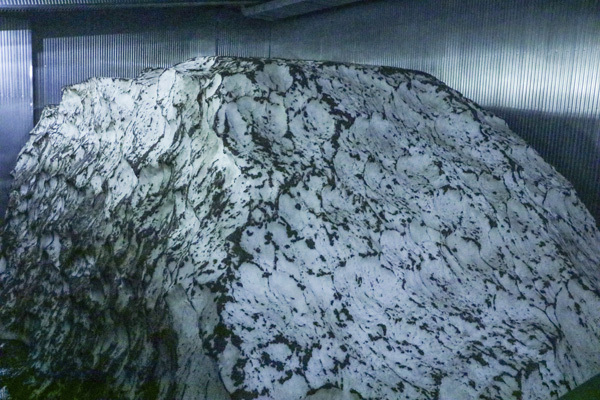 Approximately one thousand tons of snow are held in the "Hakkaisan Snow Room" for storing Japanese sake and wild vegetables. 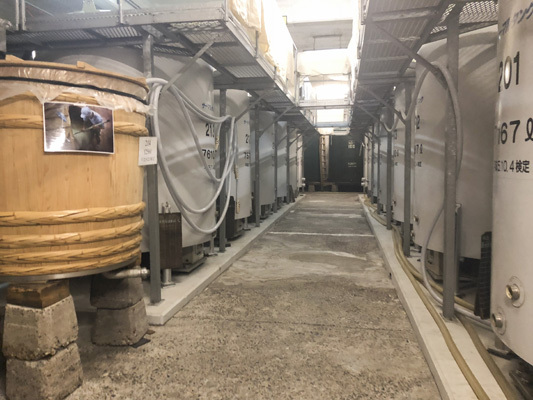 It is really impressive how people in the old days used the power of nature to store food. 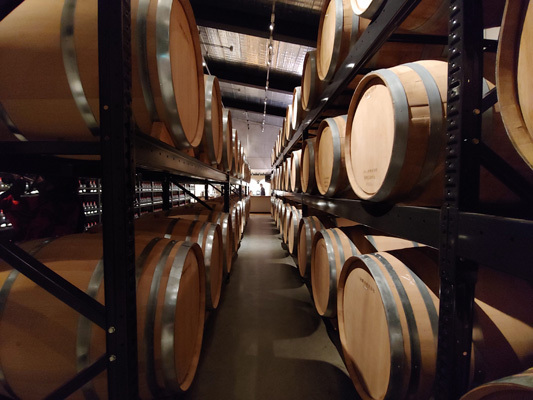 The shochu liquor storeroom also contains a liquor called "Menkou Mirai - Facing the Future." 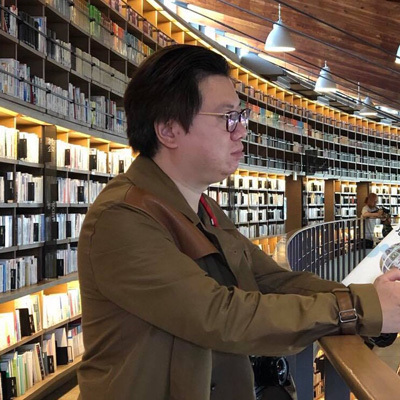 You can write something thoughtful on the bottle and arrange for the store to deliver the liquor to you in up to five years' time. On one bottle, it said: "I turn 65 this year, I will give a toast to health in 5 years' time when I turn 70!" Such heart-warming messages were so romantic. I was really looking forward to the sushi at "Ryu-zushi" due to the glowing recommendation from Mr. Lan Cai. Being able to chat to the chef while watching him prepare the sushi was a fun experience. 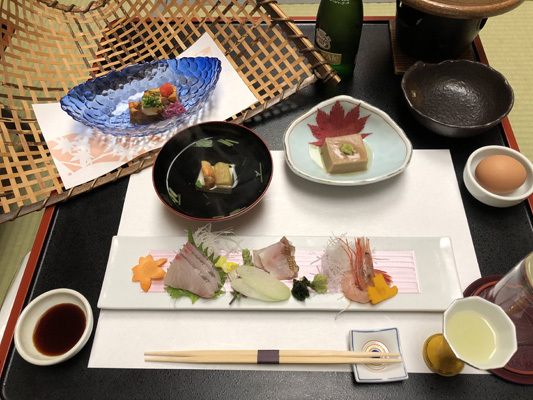 The calamari, largehead hairtail, perch and sea urchin were some of the more memorable sushi this time. The cooked octopus and fried jewfish were full of flavor too. 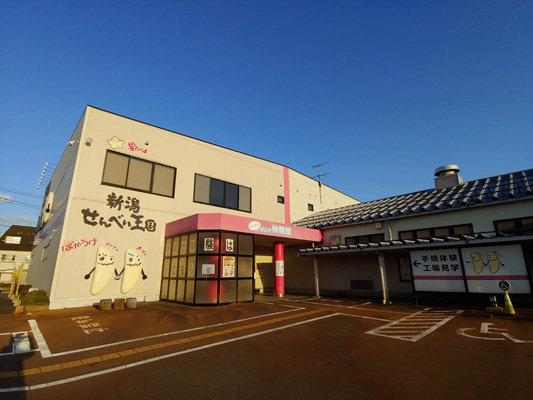 Niigata Station is the transport hub of Niigata City, and in addition to Station Shopping Center CoCoLo, and Ponshu-kan, a sake amusement park, a variety of shops can be found there where visitors can enjoy shopping and dining. Being able to try up to 5 tyes of Niigata-produced sake for just 500 yen is a bargain. The sake-tasting process itself was quite interesting too. This is a facility that will really catch visitors' attention. 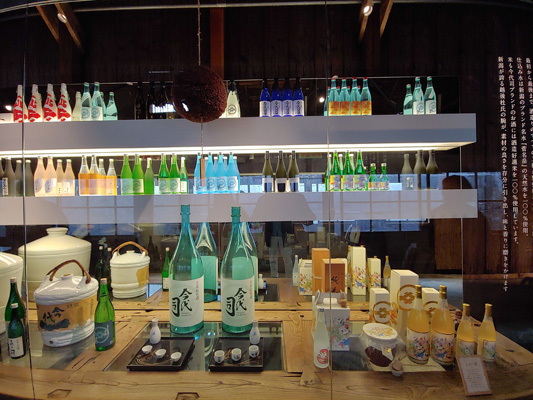 It has an attached souvenir shop where you can buy local souvenirs while trying the sake. Very convenient. This was also more interesting than I thought. I am not really into senbei myself but that changed after I tried my hand at making it. 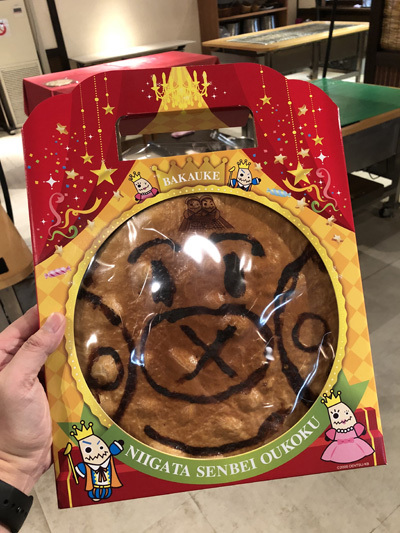 Senbei that you made yourself makes quite a good souvenir too. The price for the DIY session was acceptable. 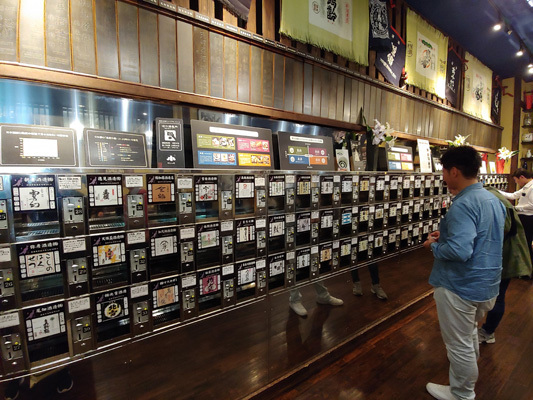 You can buy all sorts of souvenir snacks at the "Niigata Ponshukan." There are glass bottles that contain dried apples and oranges. Simply pour some sake into the bottle to create delicious cocktails! Sake-tasting is also available. You can try 5 cups for just 500 Yen. I picked several types of sake produced in Niigata to try. Apart from sake, there is also plum wine. That was really delicious too. 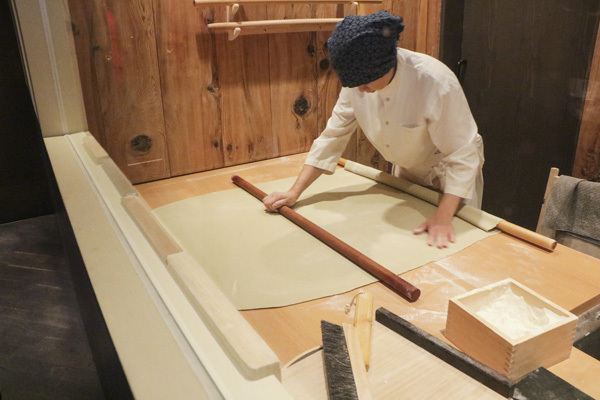 At "Senbei Okoku," customers can try their hand at making rice crackers. Roasting rice crackers on the grill will warm you up even when it's freezing cold outside. Rice crackers are clamped with a pair of pliers then held over the grill. 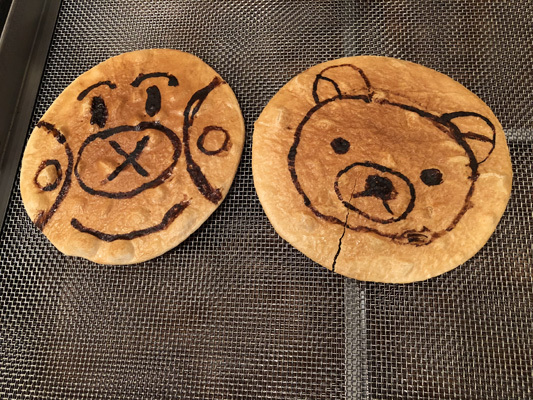 You can paint a design on the rice cracker with soy sauce. I don't have much faith in my drawing skills but I did manage to draw a cute bear so that really cheered me up! 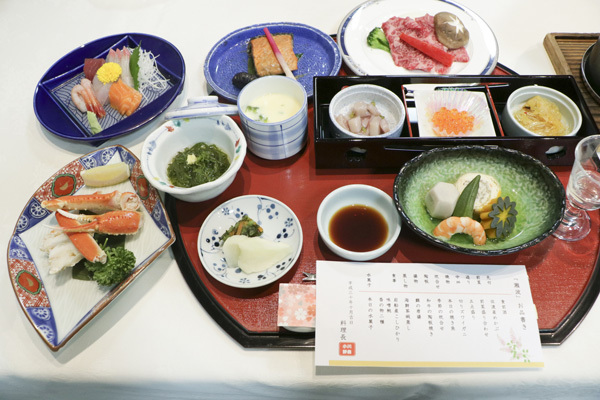 All kinds of gourmet food from Niigata were featured. Murakami beef on clay tile and salted salmon in particular were quite memorable. 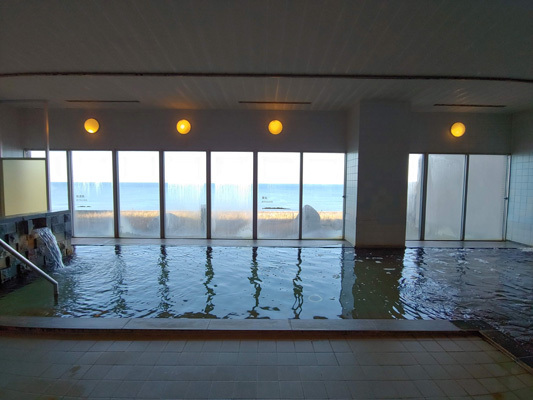 You can admire the Sea of Japan from the room. This, along with the hot spring, food and wine, meant that it was money well spent. The main selling point of this hotel is probably the view outside the window. When you draw back the curtains in the morning, the endless blue sea in all of its glory is revealed in front of you! When you go and soak in the hot spring during the day you can enjoy the view as well. Such a hot spring experience will no doubt leave everyone on family trips and company vacations satisfied. Dotted throughout the former castle town of Murakami are traditional houses that continue to be used today as houses and shops. 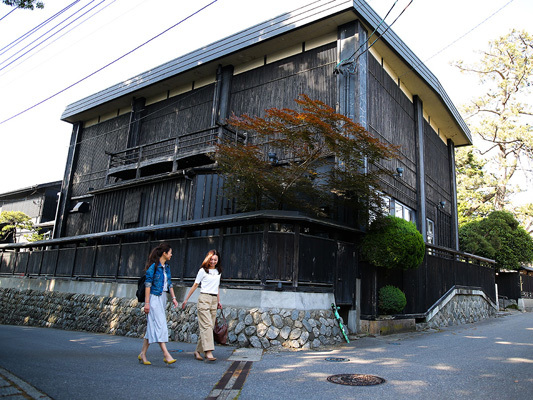 Many of the "machiya (traditional townhouses)," made using traditional methods, have been opened to the public, allowing visitors to enjoy walking around the town. 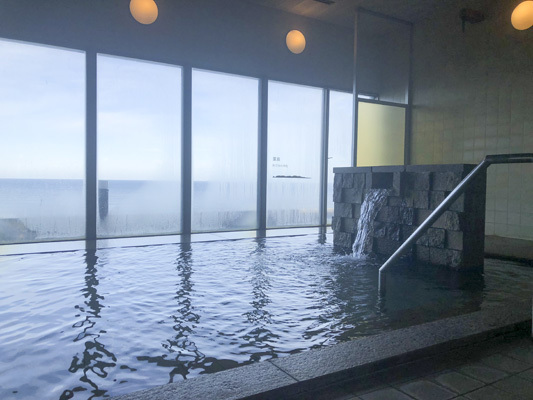 Senami Onsen is located nearby from where visitors can see panoramic views of the sun setting in the Sea of Japan, and allowing them to enjoy traditional Japanese culture and hot springs at the same time. The two DIY sessions were quite interesting. The tea dye however was rather time-consuming but it's OK if you have the time. 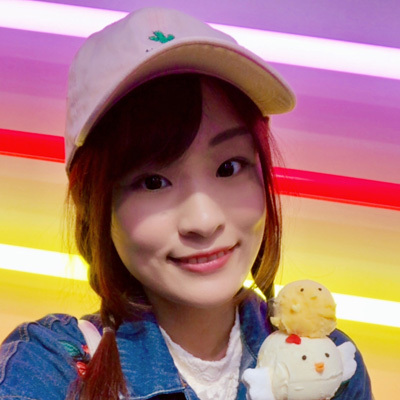 The streets of Murakami have a great atmosphere and I particularly like this region because one of my favorite idols grew up here so I pay particular attention to the places that she has been too. The salmon house is well worth checking out. All the salmon hanging in there are guaranteed to be a hit on IG. 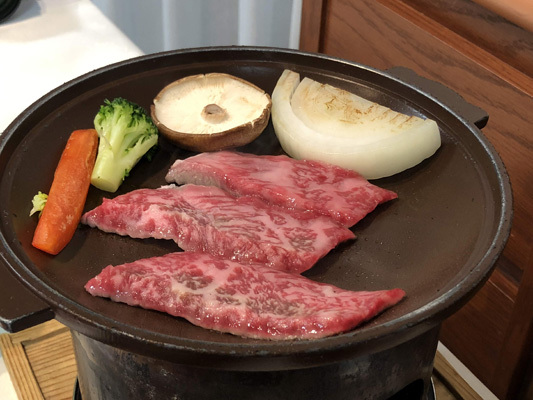 If you visit Murakami then you should eat Murakami beef and Chidori is the place to do that. Grilled beef is the best way to eat it and the prices are okay too. It's definitely delicious and the popularity of the restaurant means that you won't regret it. This is a more traditional brewery tour. 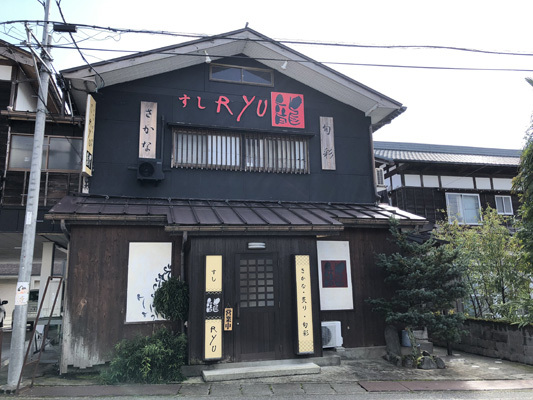 It's a bit tame compared to the other one in Uonuma no Sato but the brewery itself is quite famous, so I'll recommend it to tourists because there's self-service wine tasting available. The city of Murakami is a historic castle town where you can experience the traditional culture of Niigata. It was very quiet during our morning stroll. The staff in the shops were all very friendly and you feel relaxed just being here. 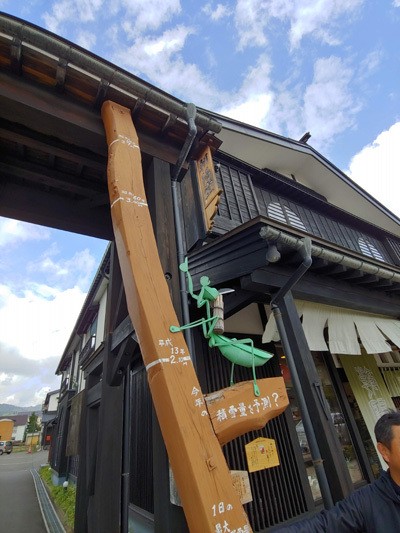 Our first stop was "Yamagami-some" where we tried our hand at the tea dye of the north. First, apply the "dye agent" you like to the fabric. Once it goes through the process of roasting, cooking, scraping and washing, the result is a beautiful pattern. Next we visited the "Murakami Carved Lacquer-ware Society" to make chopsticks. The chopsticks will be delivered to us in 1 ~ 3 weeks’ time. I am really looking forward to it! After the chopstick-making session, we set course for a salmon shop. 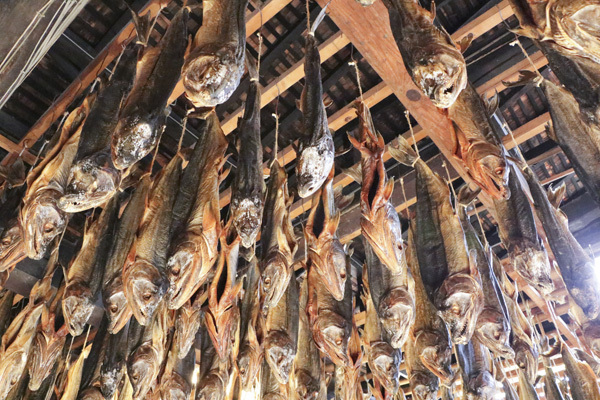 Over a thousand salmon hung from the ceiling of the store. All kinds of salmon snacks are sold here and there are samples for the customer to try. This is the place to go if you want salmon souvenir snacks. 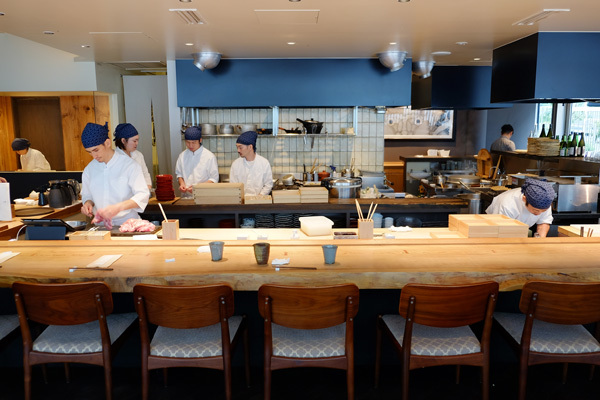 Chidori is a very comfortable Japanese restaurant that offers very reasonably priced lunch set menus as well as high-end roast Murakami beef. Everyone can find something they like here even if they have different preferences. I am a seafood lover so I ordered the Damata rice chef's special. 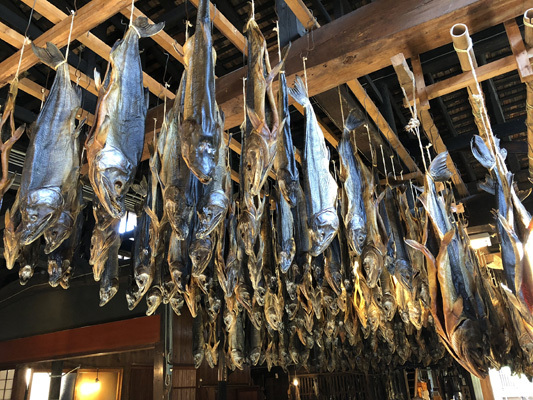 The rice is not only covered in seafood such as salmon roe, tuna and calamari but also unusual local specialties such as dried salmon and roast chicken. The portions were quite generous and I felt stuffed after eating the whole bowl. Dress up in "Geisha Style" just like in an "ukiyo-e" painting. 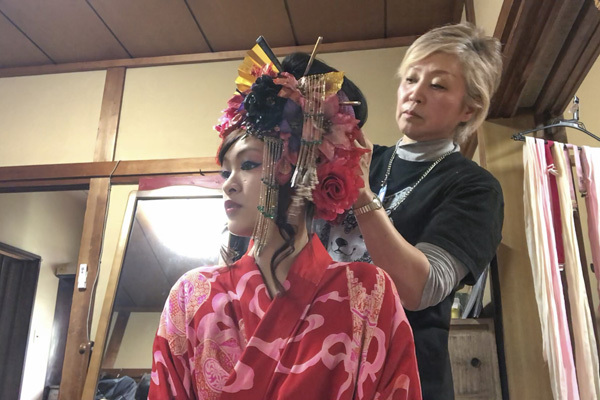 Wear a luxurious traditional Japanese kimono, and have your hair done in a style of extreme extravagance to experience the ultimate in feminine beauty. A photo session against an exotic backdrop in the studio will be a unique and exciting highlight of your trip to Niigata. Girls will probably love this because the experience and photo-shoot is not something you see every day. The prices are acceptable as well. Men can give it a try too even though the photo might come out a bit strange. It might be more interesting if you can do outdoor shoots at shrines. It does take a lot of time too. 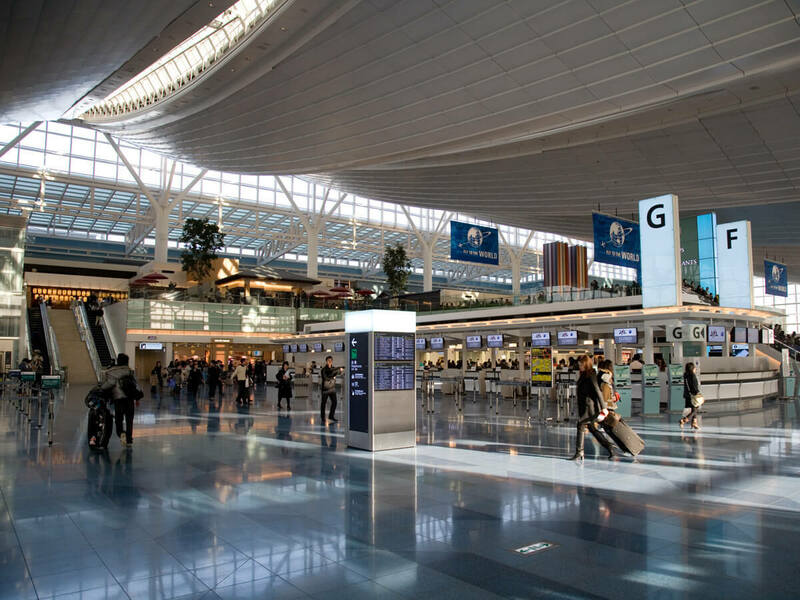 Avoid arranging it on the day that you plan to return Tokyo. It's best to stay in Niigata instead. You can get a taste of what it's like to be a geisha in Niigata! I was really excited with my first geisha experience. The make-up and dressing took an hour but the whole process excited me to no end! According to the staff, geisha make-up design focuses on making the face look small. The hair on either side and ornate jewelry are then used to accentuate the lines of the face. I was impressed by their philosophy of emphasizing the "character" of each person. The make-up artist doesn't turn everyone into identical-looking geisha. Instead, the facial features are highlighted to emphasize the unique beauty of each person. Instead of having our photos taken in the studio, we went off to take photos at historic houses nearby for a different look. The overall itinerary seems fine. 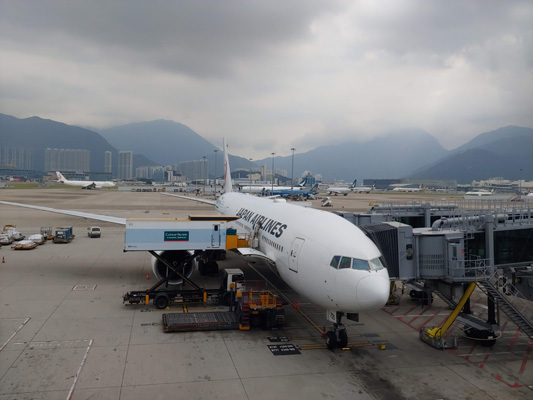 Most of the sights are well worth visiting and can be recommended to other travelers from Hong Kong. For my first tour of Niigata, everything from the food to the sights and traditional craft sessions were all very satisfying. There were also plenty of "selfie photo-op" locations! I still missed the delicious sushi and buckwheat noodles after I returned to Tokyo. I give this trip a 5-star rating for pure satisfaction! It's just 2 hours from Tokyo by Shinkansen. I would love to go there again some day! I think the itinerary is suitable for ordinary travelers. It's good for travelers that want to see more sights and there are no issues with transport. 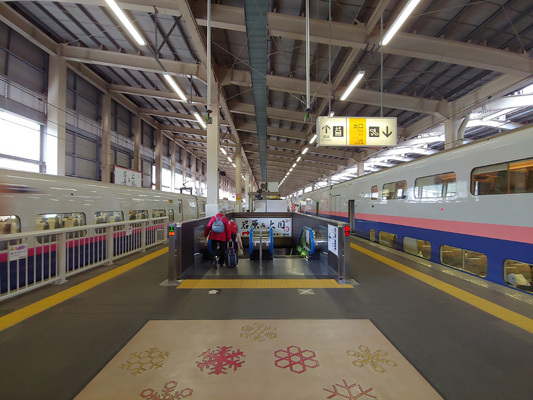 Getting from Tokyo to Niigata is easy as it's only 1 ~ 2 hours by Shinkansen. 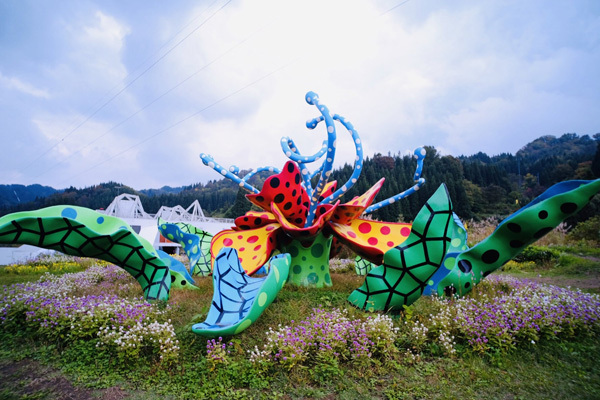 Niigata is an excellent choice to discover Japanese culture, food and arts different to that of Tokyo. Once you try the sushi and buckwheat noodles you'll be hooked. Many people visit Niigata to try these delicious foods!